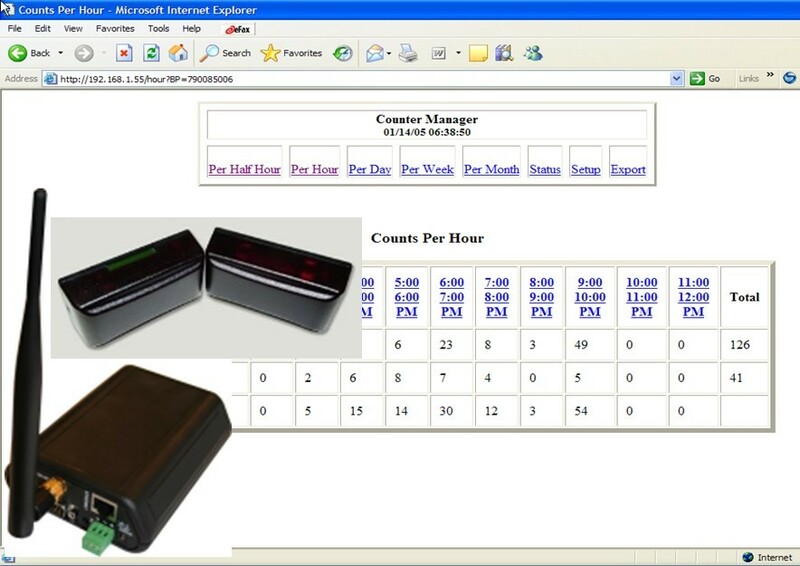 Receive hourly counts at your PC network using our battery operated TotalCounterRF that will automatically and wirelessly transmit 1/2 hour, hourly, daily, weekly and monthly counts to the DataMaster receiver attached to your PC network. 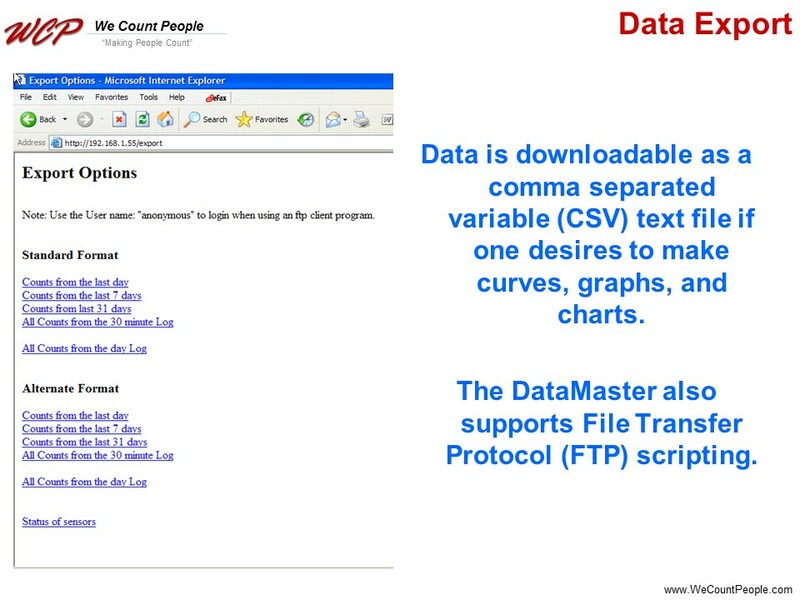 System price of $999 includes one TotalCounterRF and one DataMaster. 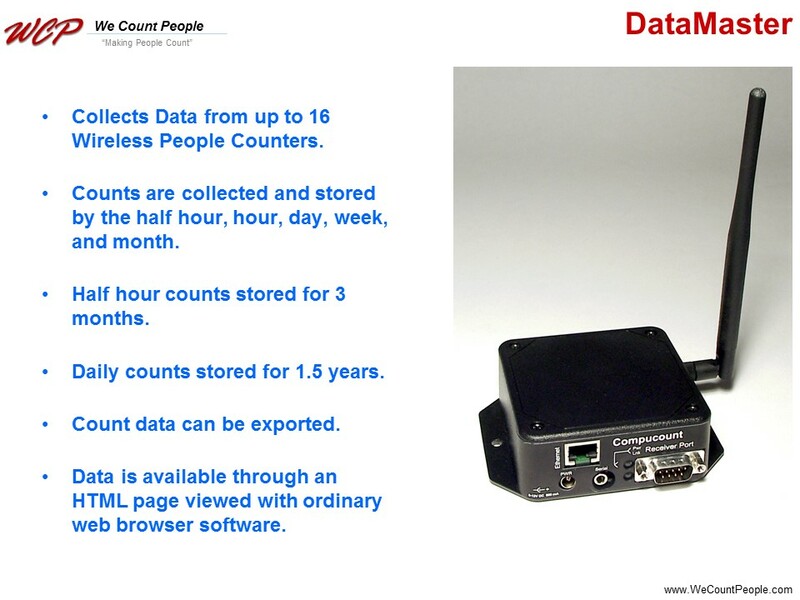 Additional TotalCountersRF units can be added to the same DataMaster for $399 per counter. 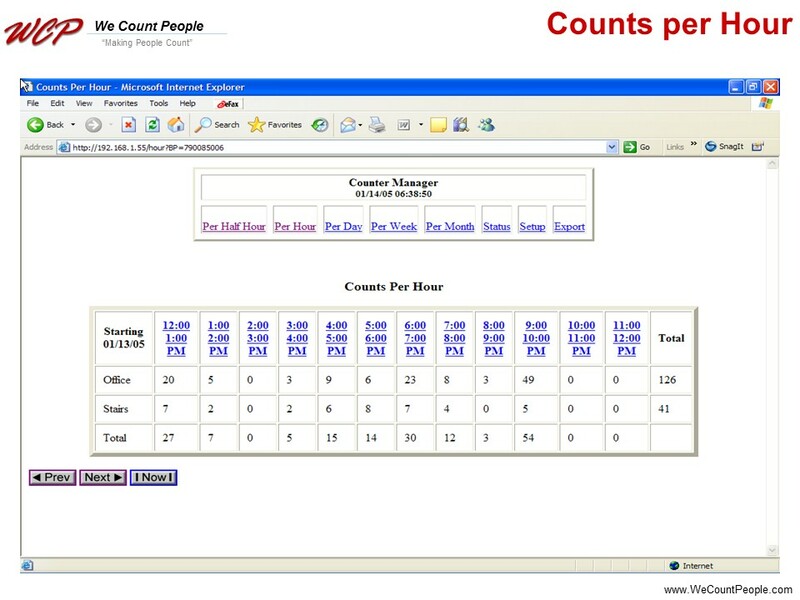 Stand-alone people counters are great for collecting traffic counts on a “manual” basis. 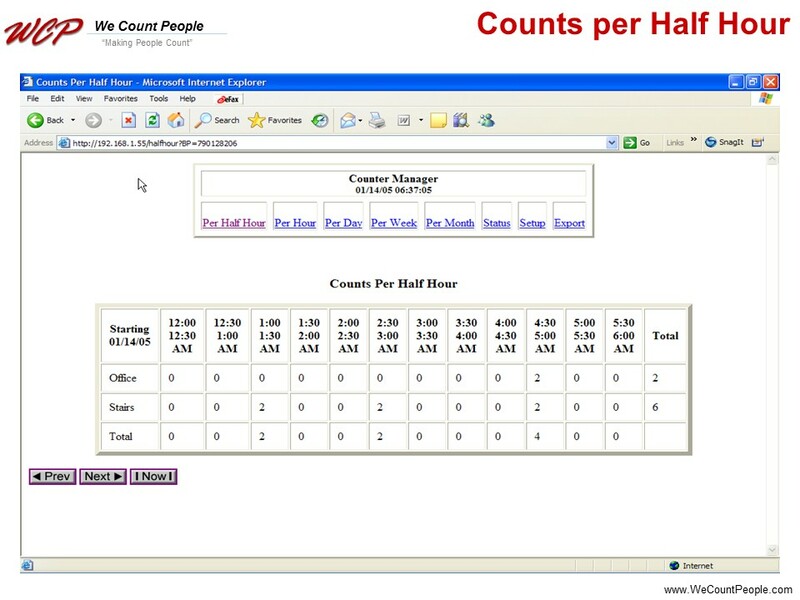 Whenever you want the count, you walk to the people counter, look at the display, and document the traffic. But it means a lot of walking if you want to know how busy your facility is on an hourly basis (so that you can determine staffing needs or hours of operation). And what do you do if you forget to collect the data? 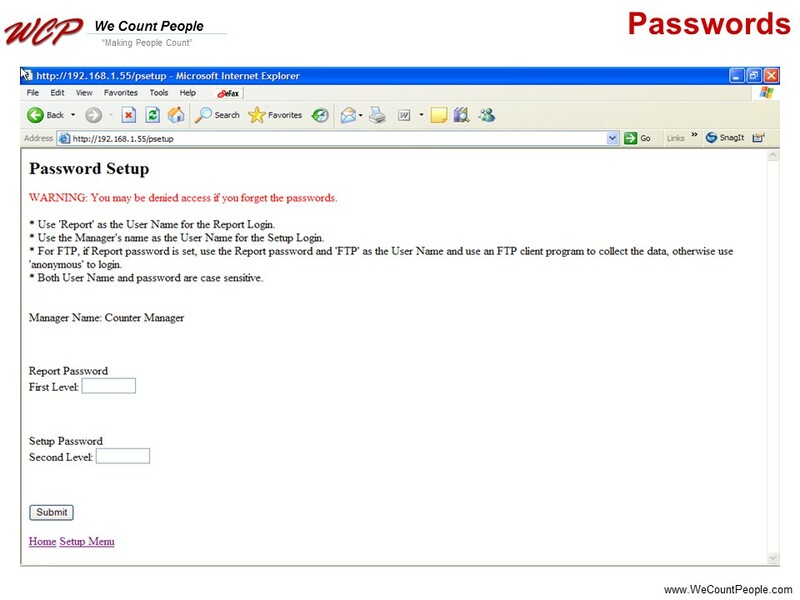 If you want an automated method of counting, consider using the TotalCounterRF. 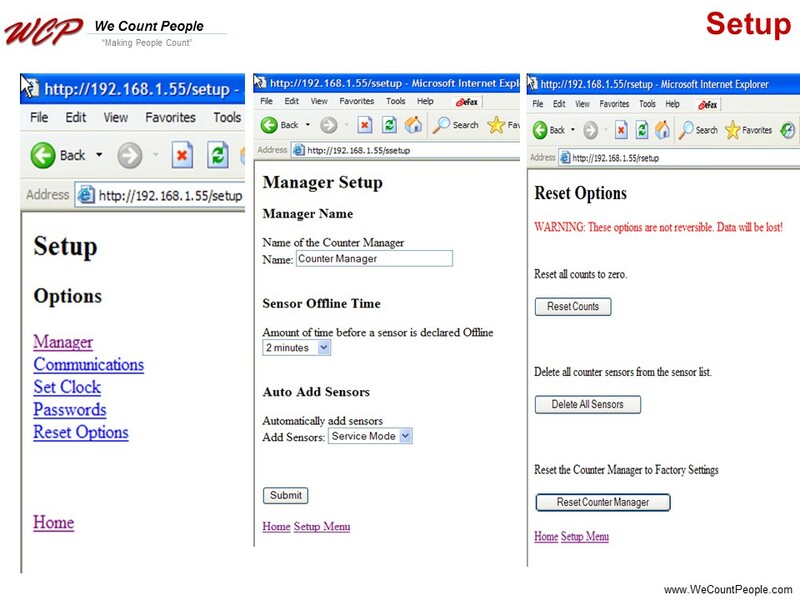 The TotalCounterRF counter has a built in radio to wirelessly transmit count data to the DataMaster receiver attached to your PC network. 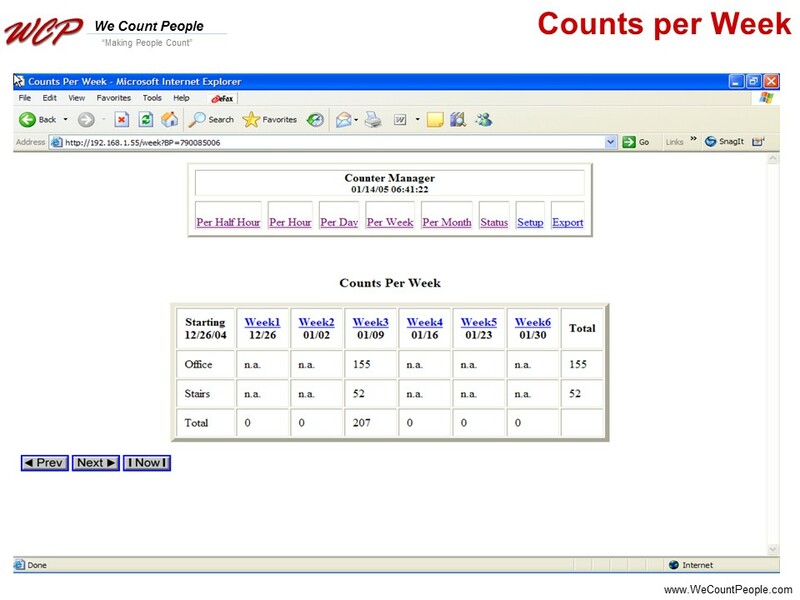 Using standard web browser software, you will view the half-hour, hourly, daily, weekly, monthly and yearly people count data at your PC. 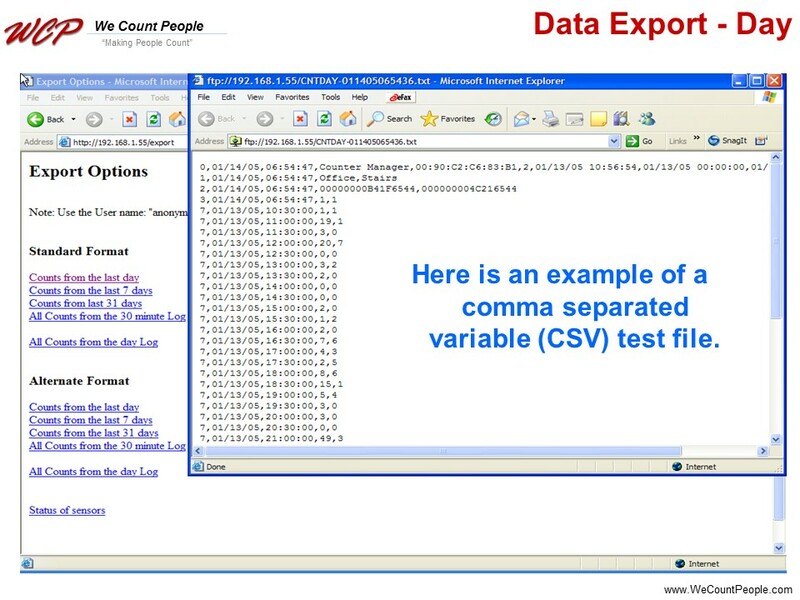 CSV file exports are provided. 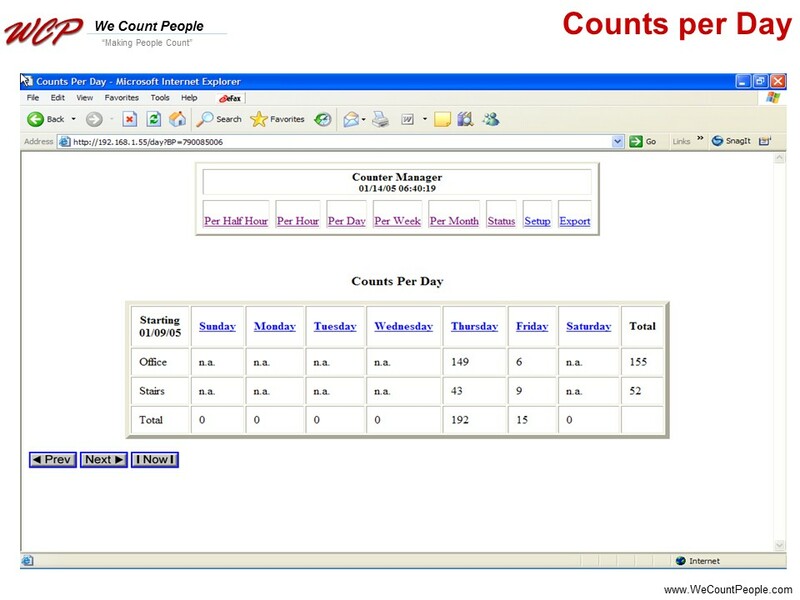 – Can provide IN and OUT count data. 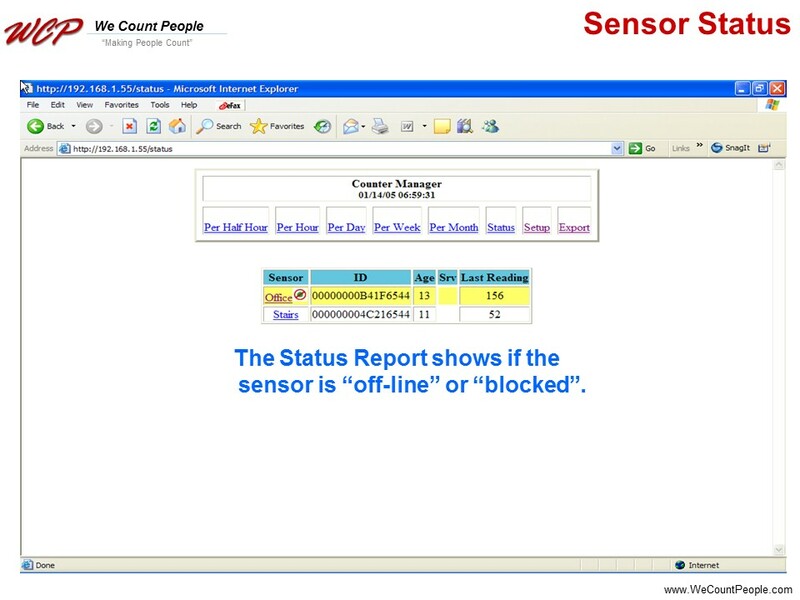 – User configured Side Firing or Front Firing in one sensor package. 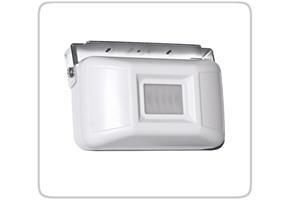 – Battery Type: 3.6 Volt, AA Lithium. 2 per side. User replaceable. – Typical Operating Environment: 0 to 120 degrees F. Protected from weather. 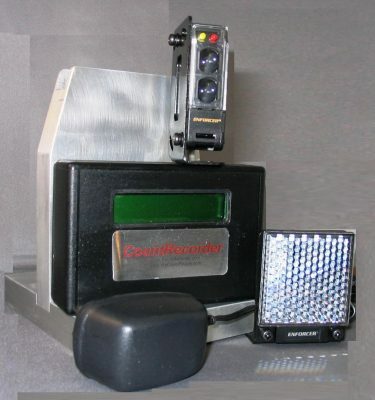 The TotalCounterRF is an infrared beam-break people counter. 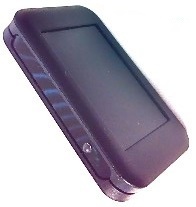 The infrared transmitter side sends a safe and invisible infrared beam to the infrared receiver. When someone, or something, passes through this invisible beam, they “break” the beam and are counted. The physics of a beam break people counter means that if two people walk through side-by-side, they will be counted as one. And if a group of people walk through at the same time, it is unlikely that all of them will be counted. 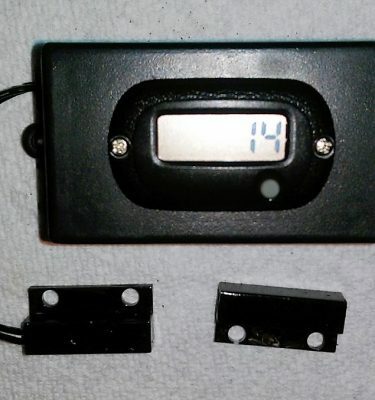 ALL infrared beam-break and ALL infrared-reflected people counters work in the same way. On a single door entrance (typically 36″ wide), most people enter one at a time, so the counting accuracy is typical very high (93 to 95%). But on a double-door entrance – this typical accuracy can drop to 80 to 85%. This price of $600 is for the DataMaster only. 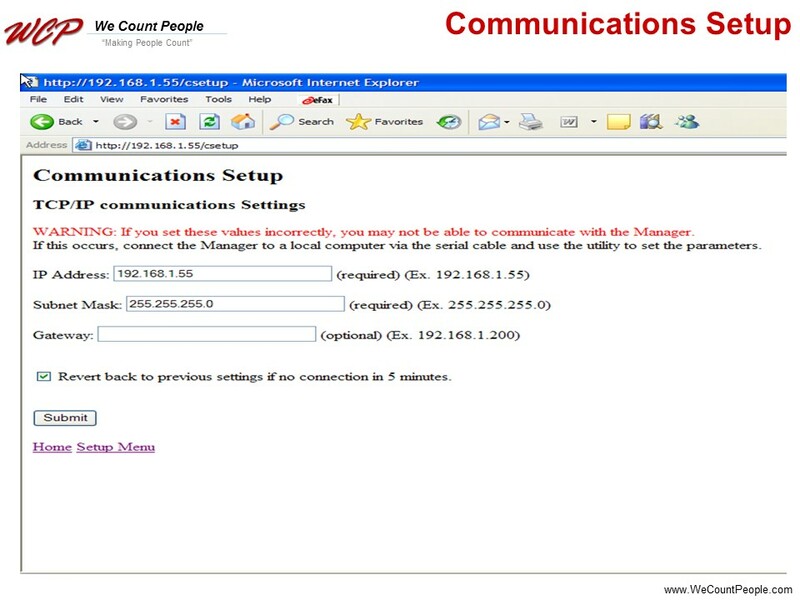 A TotalCounterRF ($399) is required for a complete system.